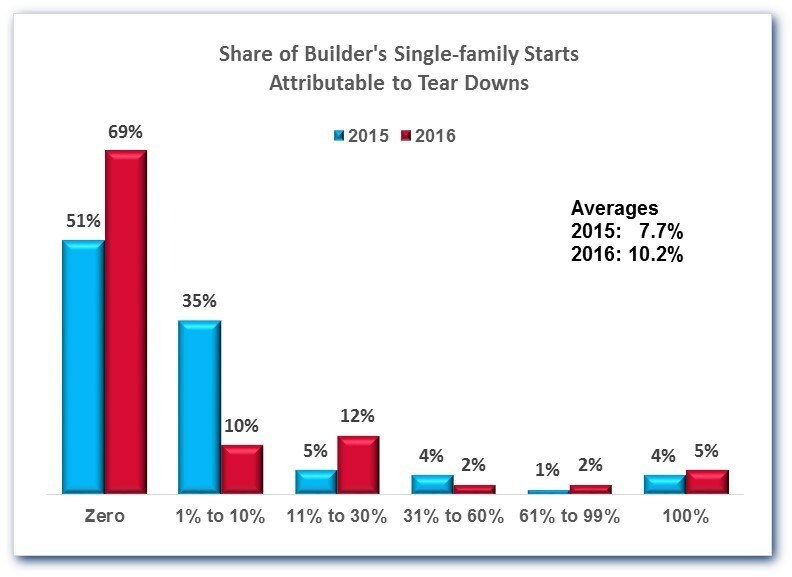 According to a new report from the National Association of Home Builders, nearly 10.2% of single-family homes started in 2016 qualify as tear-down starts, up from 7.7% in 2015. The NAHB says that while single-family starts have been relatively flat, (roughly 10% in 2016), increases in tear-down starts in 2016 reflects the continued recovery of the single-family housing market. A tear-down start is defined as a home built on a site where a previous structure or evidence of a previous structure was present before the new home was started. Overall they report that were 79k Single-family Tear-down Starts in 2016. Click here to read the full report on NAHB.com.